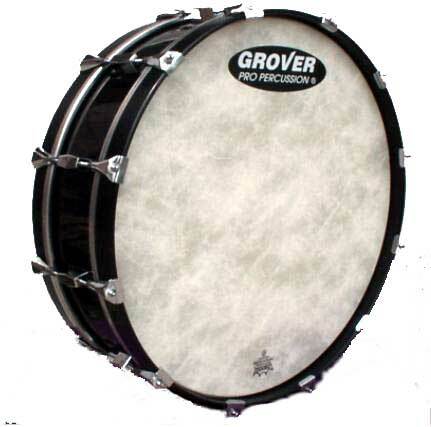 We just received a large order from the United States Navy for Grover custom snare drums and bass drums. We manufactured similar ceremonial drums a few years back for the Army band (see photo). When the Navy percussionists heard and saw the Army drums, they knew immediately that they had to have a set. These custom drums receive a special shell coating inside and out, so that the drum is completely sealed from the weather. The drums are used outside for ceremonies and the Navy percussionists can be assured that the drums will perform optimally regardless of the weather conditions.